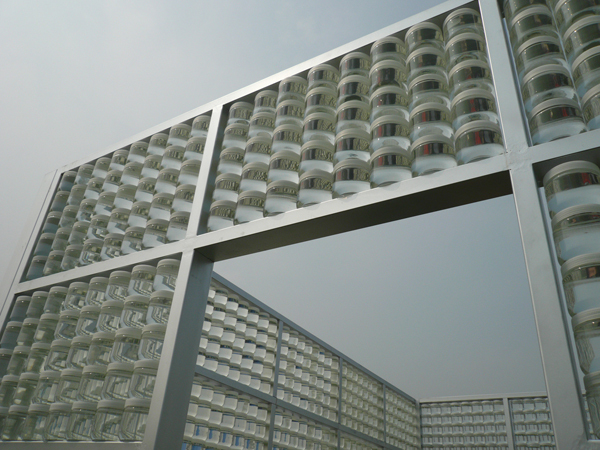 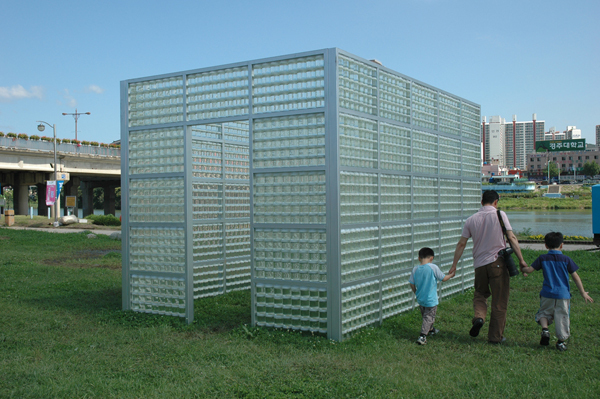 Water Pavilion, consisting of 2880 glass canisters filled with water taken from the Taehwagang river in Ulsan, the Republic of Korea, was situated by the Taehwagang river. 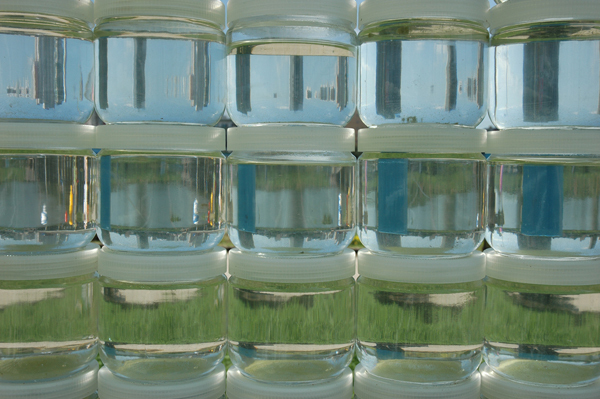 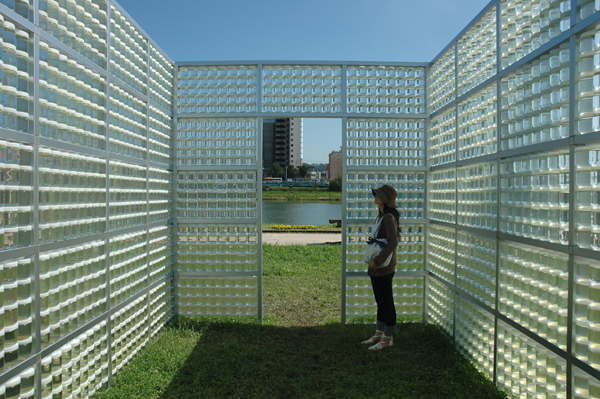 The walls of the glass canisters filled with water were transparent and looked like a wall of glass block. 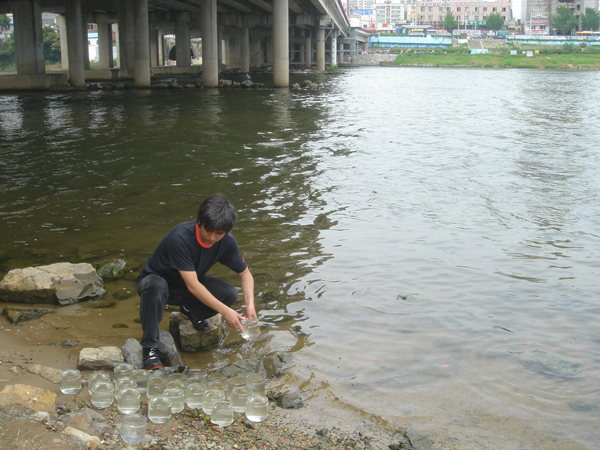 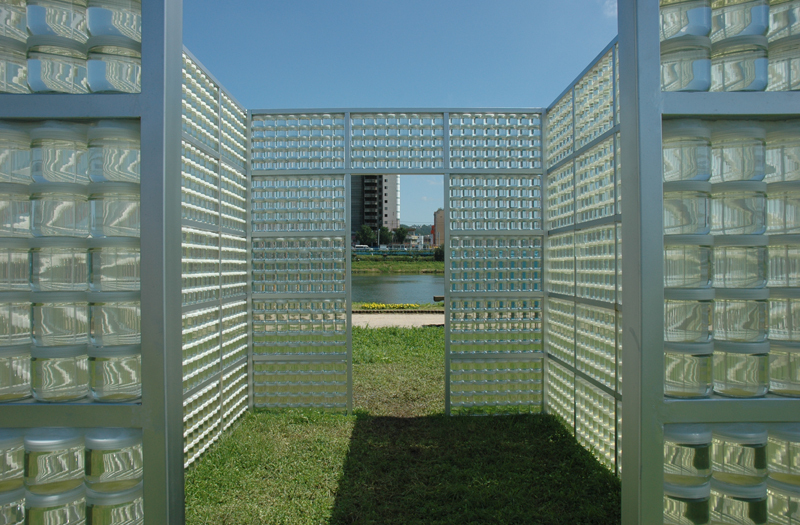 My intention was to bring people's attention to the river water and was to change their perception of the place by looking through the transparent wall - or a large lens - of the Taehwagang river waters. 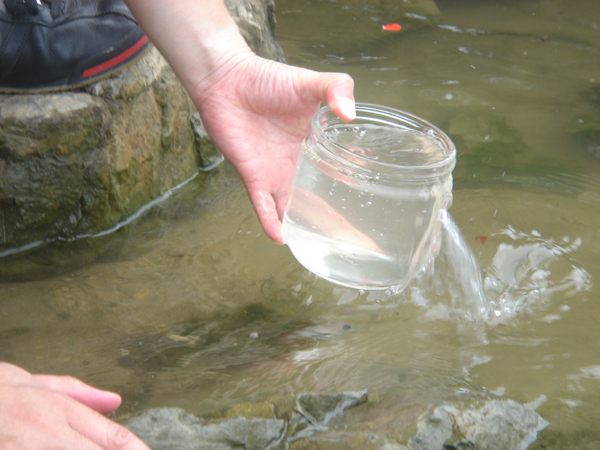 Nothing is more precious than water. 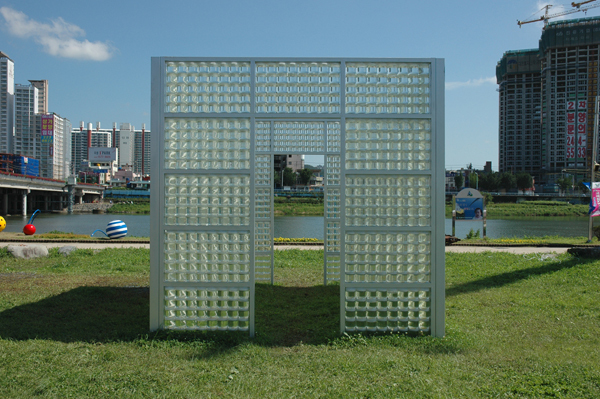 The pavilion contained the river and paid homage to the Taehwagang river.